In a world being consumed by waste, it’s time to think of our trash in a different light (and save some money while we’re at it). ♦ Use a gallon milk jug to water the roots of garden plants without standing there with a hose: Poke small holes in the bottom of the jug and bury it; fill with water for slow and steady irrigation. 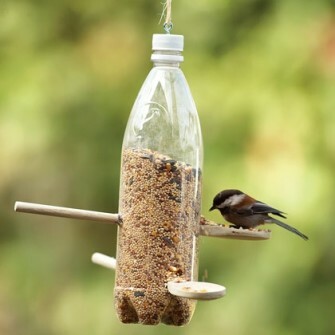 ♦ Make a bird feeder out of a 2-liter plastic bottle.♦ Pour used bacon grease into a tuna or cat food can, chill until firm, and wire the can to a tree to give your feathered visitors some food. Bacon grease may be gross to some of us, but it attracts bluebirds, crows, jays, ravens, starlings, woodpeckers and Carolina wrens. ♦ Mound used coffee grounds in a ring around garden plants to keep ants and slugs away. ♦ Use paper egg cartons to start seedlings; since the paper will biodegrade, each cup with its seedling can be dropped right into the soil. Toilet paper tubes can be used in the same way. ♦ Use old wine corks to create a floating key ring; never worry about your keys sinking while at the beach or lake again. ♦ Become a recycling master and transform old wine corks into masterpieces. ♦ Once it’s time to retire an old game, use the game board to make coasters. 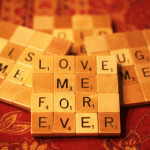 ♦ Use old game pieces – Monopoly movers, dice, Scrabble tiles – to make jewelry or to decorate wrapped packages. ♦ Yes, this may seem random, but here goes: don’t throw away your old garden rake! Remove the head and hang it on the wall for use as a necklace tree, a rustic tie holder, a scarf organizer, a belt holder … the possibilities are many. ♦ Spread out old newspaper beneath a tablecloth to provide further protection against spills. ♦ Don’t forget the old trick of using newspaper instead of paper towels to clean windows. ♦ Place an open jar or bowl of dried, used coffee grounds in your refrigerator or freezer to neutralize odors. ♦ Keep a jar of dried, used coffee grounds under the sink and use with dish soap as a scouring agent for cleaning caked-on stubborn food. ♦ Did your bike inner tube spring a leak? Lucky you! Now you can save the tube and cut it into strips for a bonanza of rubber bands in custom widths. ♦ You can also use a bike inner tube to fashion an industrial chic door draft stopper: Cut a length of tube a little longer that the door’s width, fill with sand and seal both ends; block drafts and stay cozy. ♦ We are a people of rampant toilet paper use and thus, we are all left with a lot of toilet paper tubes. You can turn those tubes into playthings and nesting materials for your small furry pets. 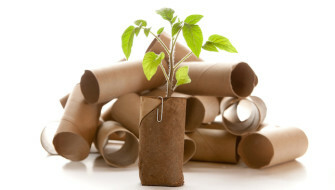 ♦ Torn and crumbled toilet paper tubes also make fine packing material. ♦ Put old, stained T-shirts to use; cut them up and use them for messy spills around the house and in the garage. ♦ Old sailors know this one: use banana peels to shine your shoes. Rub the inside of the peel on shoes, then buff with a soft cloth. ♦ Use juiced citrus halves sprinkled with salt to clean stainless steel and other metal fixtures. ♦ Keep used tea bags in the refrigerator; in the morning, dampen if needed and put one on each eye to relieve puffiness and refresh sleepy peepers. ♦ Dampen cool, used tea bags and place them on insect bites and minor burns; it’s said that the tannins help soothe and reduce inflammation. ♦ Pack old newspaper sleeve bags in your purse or backpack for use as emergency galoshes. ♦ If you hate the feeling of rubber gloves against your skin, use newspaper sleeve bags to protect your hands while washing dishes. 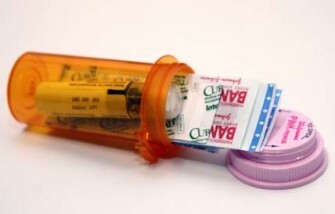 ♦ Pill containers can hold a stash of Band-Aids in your purse for when blisters and paper cuts strike. ♦ Another way to use soap slivers is to wrap a group of them in a washcloth and tie it into a bundle; presto, you have a self-sudsing scrubber.